Experienced group of Accredited Exercise Physiologists specialising in the delivery of exercise therapy for Australians suffering from Chronic Conditions or Injury. We use exercise as medicine and can help you function better at our practices located nationally. To find out how we can help, call out head office on 02 8003 7424. We are a small boutique style clinic specialising in laser hair removal and clinical skin treatments. We use Medical grade lasers and perform highly specialised skin treatments. Our business’ focus is primarily achieving the best results for our customers and 100% customer satisfaction. We are highly trained and qualified therapists. LASER AND COSMETIC CLINIC Diode Laser hair removal and advanced rejuvenating and anti-aging aesthetic treatments. Address:95 Malop St Westfield Geelong Geelong VIC 3220 Australia Website: https://www.unique-laser.com.au/ Phone:	03 5222 1995 Email: info@unique-laser.com.au. If you are heading to the beach or pool, or even planning your next tropical getaway, Swimwear Galore is your new best friend. We carry over 90 brands like Seafolly, Speedo, Roxy, Rival, Jets, Isola by Megan Gale, Billabong and Funky Trunks. All year round we sell swimwear and accessories for both the beach and the pool. Get Family Dental Care only from BEDC as we provide best and world-class amenities to our clients. Dental care is necessary and should be done by all ages. To know more kindly visit - https://www.bedc.com.au/ Office - 677 Hawthorn Road, Brighton East, VIC 3187 E-mail - admin@brightoneastdental. Wisdom Teeth come with age and are last one to erupt. When wisdom teeth erupt our mouth goes with different changes and infection. BEDC provides best service as they have advance tools and proper knowledge. To know more kindly visit - https://www.bedc.com.au/extractions/ Office - 677 Hawthorn Road, Brighton East, VIC 3187 E-mail - admin@brightoneastdental. A person intakes, reaches the body thorough the mouth and as digestion starts right here, it is imperative to care for our precious pearls and relieve ourselves of the troubles in our mouth with the best General dentist care on offer. To know more kindly visit - https://www.bedc.com.au/online-appointment/ Office - 677 Hawthorn Road, Brighton East, VIC 3187 E-mail - admin@brightoneastdental. The dental wellness and oral hygiene tips from the best dentist are an effective means to guide the parents in managing their infant’s dental health check-up routines. To know more kindly visit - https://www.bedc.com.au/ Office - 677 Hawthorn Road, Brighton East, VIC 3187 E-mail - admin@brightoneastdental. Bulk billing medical centre at Terrigal. same day appointment available. Experienced male and female doctors. Family medicine, skin cancer assessment and treatment, cosmetic injections. 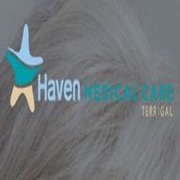 Allied health services, pathology onsite Website: https://www.havenmedicalcare.com.au/ E mail: Terrigal@havenmedicalcare. I Brow Bar Sydney are committed to helping you look and feel your personal best by providing the highest level of medical grade cosmetic procedures. Each of services is carefully designed to fit your unique needs. 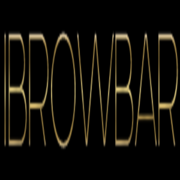 I Brow Bar Sydney are Certified Permanent Makeup Artist. Offering services in eyebrow microblading, feathering, shading technique and lip tattoo. Are you looking for holistic dental treatment at Hampton Park? Aura Dentists is a leading dental clinic in Hampton Park, specialising in comprehensive and effective oral health solutions for your family. For more details visit, https://tinyurl.com/y966892j or call 03 5991 7008..
We offer a range of occupational therapy services to the kids with various diagnosis and challenges e.g. Autism, ADHD, Downs syndrome, sensory processing disorders, gross and fine motor challenges, learning difficulties, feeding challenges, emotional regulation challenges , handwriting difficulties etc. Leura is a touristic destination all year long so why not planning a shopping trip with your girlfriends or your family while you’re there! Papinelle Sleepwear has a beautiful store located in Leura where you can purchase beautiful pieces for your home/bed time. From sleepwear, to loungewear, to wellness; Papinelle has it all! Open 7 days a week, Papinelle Leura is the perfect gifting place where to shop this season. Spring is a lovely season here in Australia and is also the perfect time to purchase new pyjamas for Summer. Papinelle Sleepwear has a beautiful store located in Chatswood, opened 7 days a week for your convenience. You will find beautiful natural blend women’s pyjama sets that come in a variety of floral prints but also feminine nighties and robes, little boxer sets for teenagers and a range of girl’s sleepwear from 2-3 years to 8-10 years old. Are you having any plan of Face tattooing? If you are having a plan of face tattooing, then Wake up Beautiful is the best option for you. Wake up Beautiful is cosmetic tattooing salon in Gold Coast famous for its best tattooing services. Their experts will help you to get the desired shape and colour to your lip, eyebrows, and eyeliner through face tattooing. Looking for a highly qualified optometrist in Melbourne? At Ringwood, A+ Optometry provides a range of services for your eyes including eyewear and contact lenses. If you are looking for a Melbourne Optometrist to provide professional advice then we are your best choice..
TrueCare Health is a fully integrated multidisciplinary physiotherapy practice run by a team of experienced Physiotherapists. TrueCare Physiotherapy Clinics are located conveniently across four easily accessible towns in Gippsland – Sale, Bairnsdale, Maffra & Heyfield. At TrueCare Health we pride ourselves on providing the most innovative treatments and intuitive therapies with highest quality of care to our patients. If you think you have sleep apnea, it's important you seek the right advice and support to manage your condition. Our snoring dental device is available to those who snore loudly or have sleep apnea. Snore No More provides a dental device for sleep apnea; it is an appliance that is positioned in the mouth and worn much like a mouth protector used in sports. Are you looking for the best hair stylist brunswick? 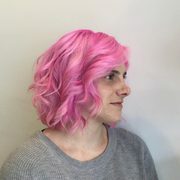 Rhubarb's hair have a professional and friendly hair stylist will provide you high-quality service every time you visit. For more detail contact us at (03) 9387 8188..
Beauty Salon in Sydney, Cammeray and Neutral Bay, Body Essentials has a proffessional team of beauticians that offer deep cleanse facials, cosmetic skin needling, extraction facials and stock environ skin products. Website:	https://www.bodyessentials.com.au/ Phone:	289200111 Email:	info@bodyessentials. Do you suffer from Foot Pain? We have over 120 years of combined experience and have examine more than half a million feet. Whatever your problem, we have seen it and treated it before. 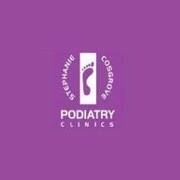 As one of Brisbane’s longest established podiatry clinics, our Walk Without Pain team are well placed to meet all of your family’s foot care needs. At Aura Dentists, we are here for your whole family. Our dedicated children’s dentist in Cranbourne is here to care specifically for our younger clientele. We understand that visiting the dentist can be an anxious time for children and so do our best to make the experience as comfortable and pleasant as possible. Melbourne's leading cosmetic & dental surgery. Our experienced dentists provide the highest standard of cosmetic dentistry. We ensure that our professionals are trained to consistent levels of proficiency across all procedures that we offer. With competitive prices and a customer-centric service, we strive to ensure all our customers leave satisfied every time. Experience a life-changing transformation at the Chi of Life weight loss and wellness retreat in Queensland. Chi of Life is a live-in residential program you will be educated, empowered and inspired by our friendly team of professionals, and achieve your weight loss goals with long-lasting results. 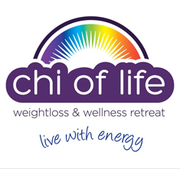 Unlike some other weight loss retreats, Chi of Life avoids a one-size-fits-all approach. The autism is a lifelong neurological and developmental disorder that affects early in childhood and affects daily functioning.if you want to more information about autism you can visit here. website: https://www.hearingsol.com/help/autism/ Toll-Free 1800-121-4408 Email: info@hearingsol.com. Papinelle Australia is excited to announce the launch of its Spring/Summer 2019 collection now available at Papinelle Chatswood store. Located inside Chatswood Chase Shopping Centre, the Papinelle boutique is one big and beautiful space. With Spring in the air, it is time to visit Papinelle Chatswood to see the new floral and new classics Pjs Papinelle Sleepwear has to offer this new season. Are you looking for a reliable dentist in South Morang region? Sunrise Dental and Cosmetic Clinic offer professional dental services at attractive rates. Latest and advanced technology is used to provide good quality dental services. We offer general and cosmetic procedures like fillings, teeth whitening, dental implants, dental crowns, veneers, dentures and more. Services: Early treatment, kids braces, adult braces, metal braces, clear braces, clear aligners, Invisalign, jaw surgery, orthognathic surgery *** Orthodontic Specialists of Melbourne is a modern, trusted and respected orthodontic treatment centre, offering a full range of services. From traditional metal braces, to invisible clear aligners, to orthognathic (jaw) surgery, we can help children, teens and adults achieve their perfect smile. Health services, beauty services Australia ads Australia, Health services, beauty services classifieds Australia, Health services, beauty services free ads Australia, ads for sale Australia, ads to buy Australia, FREEADSAustralia Page number 8-1. Find here ads for sale, to buy and rent in Australia. Goods for sale in Australia, vehicles for sale in Australia, Australia real estate for sale, Australia property for sale, property for rent in Australia, business ads in Australia, Australia business classifieds, services in Australia, Australia services ads, jobs in Australia, pets for sale in Australia, Australia dating, Australia cars for sale.